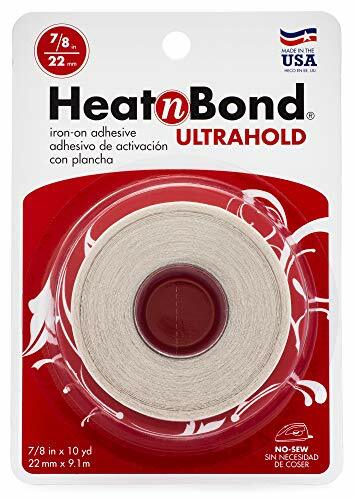 Fusible Fleece by Pellon: 45"x60"
HeatnBond Ultrahold is a roll of paper backed, iron-on, No Sew, double-sided adhesive for bonding fabric without the need for pinning. Ultrahold s no-sew bond is stronger than traditional fusible webs. The solid sheet adhesive means edge to edge coverage for appliqu shapes on quilts, wall hangings and attire without puckering or bunching. Draw or print directly on the paper backing to easily design applique pieces! 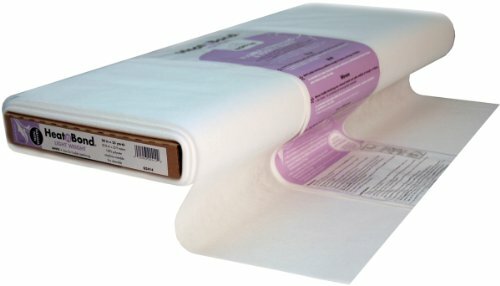 Tender Touch is a lightweight, permanent stabilizer that is ideal to "cover-the-back" of finished computerized embroideries to protect sensitive skin from scratchy stitches. It is ideal for baby and child garments, sports apparel, lingerie, spandex and golf shirts because it stretches with the garment. Woven Fusible Cotton interfacing for apparel and accessories. Traditional uses are in blouses, shirts, sportswear and dresses, but many users love this product for soft shaping in handbags and purses. 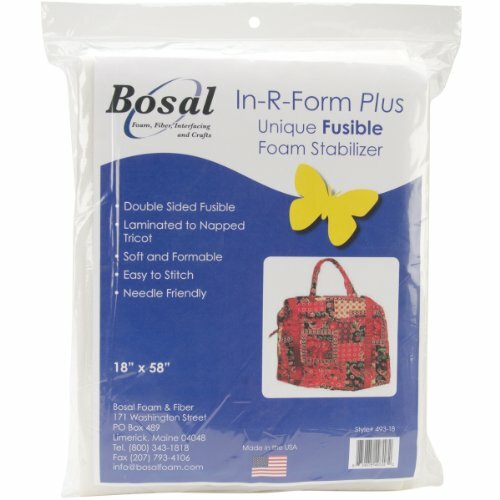 Bosal: in-r-form plus sew in foam stabilizer. This soft and formable stabilizer is easy to stitch and needle friendly. 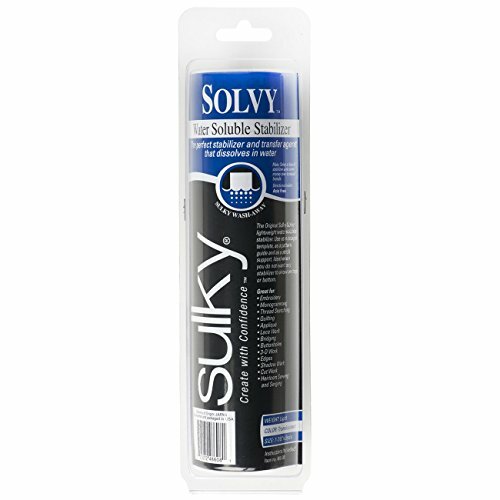 This package contains 18x58 inches of double-sided white foam stabilizer. Made in USA. 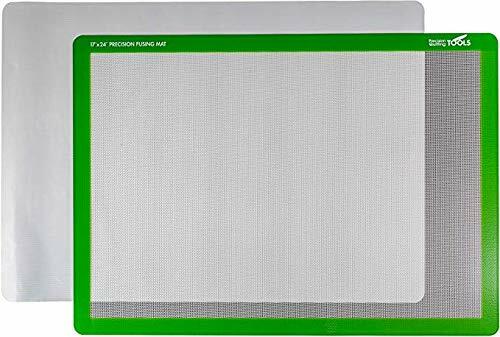 Precision Fusing Mat (17" x 24") Includes Non-Slip mat with See-Through Design for Appliqu Creation, and Bonus Teflon Coated Pressing Sheet! Introducing the Precision Fusing Mat system. Our non-slip material prevents movement of your mat so fabrics remain in place while ironing. The see-through design provides visibility for appliqu creation, and the included Teflon coated ironing sheet adds extra protection for your iron. 17" x 24" size. Bonus Teflon Sheet: Includes 17 x 24 Teflon coated pressing sheet! 100% Satisfaction Guarantee: If you're ever unsatisfied with the product we will refund your order. We have a no-hassle return policy. Precision Quilting Tools is a USA Company with U.S. Based Customer Support! 2-Ounce of powdered fusible. 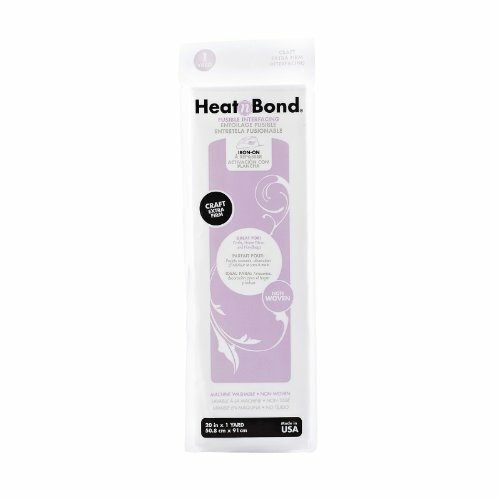 Bonds fabric together instantly. Your secret weapon for fabric repair. Great for surface embellishment and design. Withstands washing and dry cleaning. Fabric stays soft and can be sewn through. Contents may settle in shipment. Keep out of reach of children. Do not inhale. Harmful if swallowed. 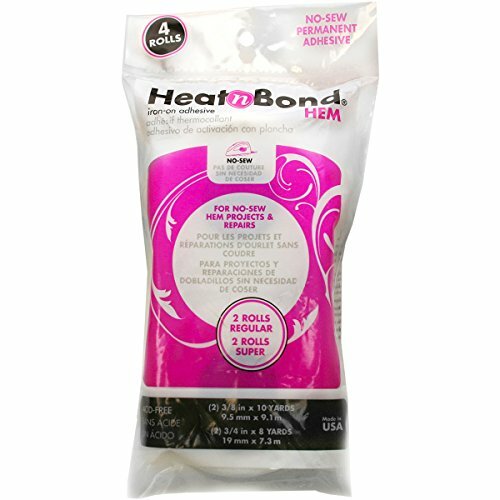 THERM 0 WEB-Heat n Bond Iron-On Fusible Interfacing. Non-woven light weight works well with dresses, blouses or accessories made of sheer or light weight fabrics. 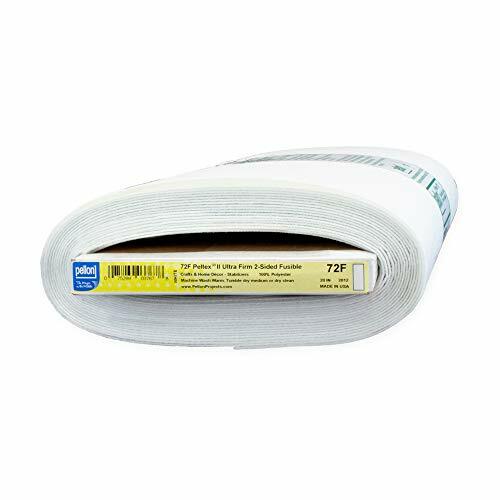 This package contains one 25 yard bolt of 20 inch wide non-woven white light weight interfacing. Made of 100% polyester. Machine washable. Made in USA. 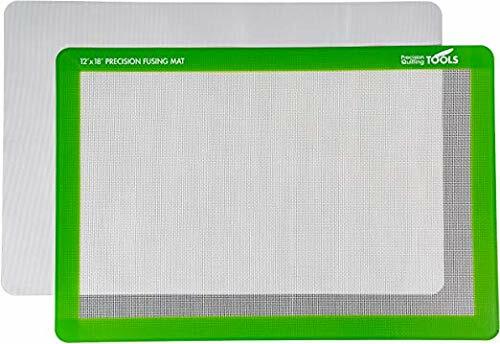 Precision Fusing Mat (12" x 18") Includes Non-Slip mat with See-Through Design for Appliqu Creation, and Bonus Teflon Coated Pressing Sheet! Introducing the Precision Fusing Mat system. Our non-slip material prevents movement of your mat so fabrics remain in place while ironing. The see-through design provides visibility for appliqu creation, and the included Teflon coated ironing sheet adds extra protection for your iron. 12" x 18" size. Bonus Teflon Sheet: Includes 12 x 18 Teflon coated pressing sheet! 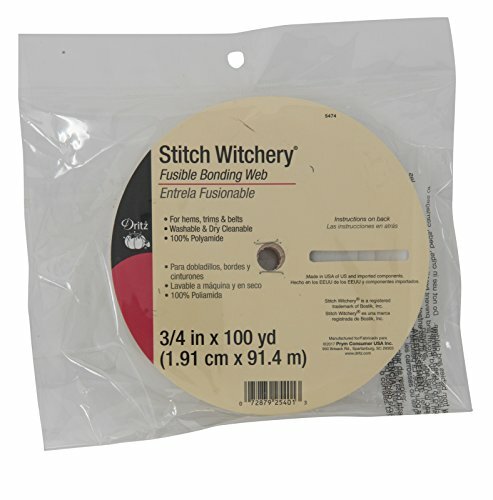 Dritz Stitch Witchery is a fusible bonding web that is used to bond fabric pieces together. Simply press on to quickly hem or face garments, and fuse fabrics without sewing. This package contains 1 roll of 3/4" x 100 yards of white Stitch Witchery Bonding Web. Regular Weight is for light fabrics such as; cotton, rayon, polyester blends and acrylic fabrics. It's like magic! The perfect stabilizer and transfer agent that dissolves in water. Use as a design template, as a pattern guide and a stitch support. Ideal when you to not want any stabilizer to show on top or bottom. 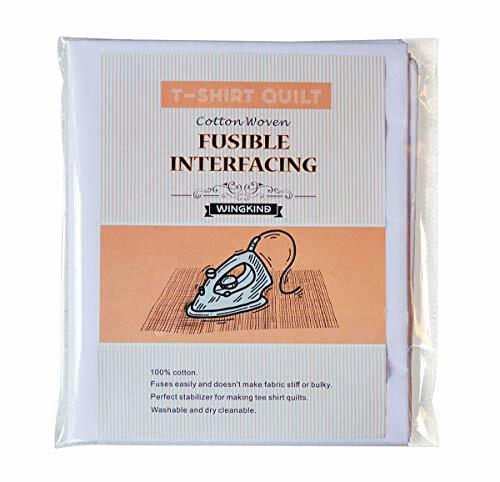 Iron-on interfacing for quilting, home decor and craft projects. No pinning, basting or shifting; fuses in seconds. Adds crisp detail to fabrics. Machine washable. 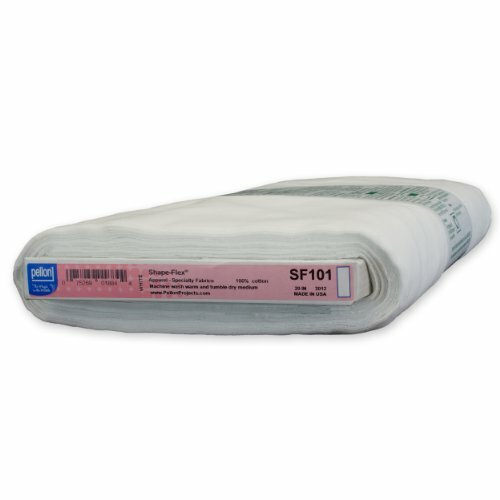 Pellon 911FF Fusible Featherweight Interfacing 20in x 10 Yard Bolt. Color: White. 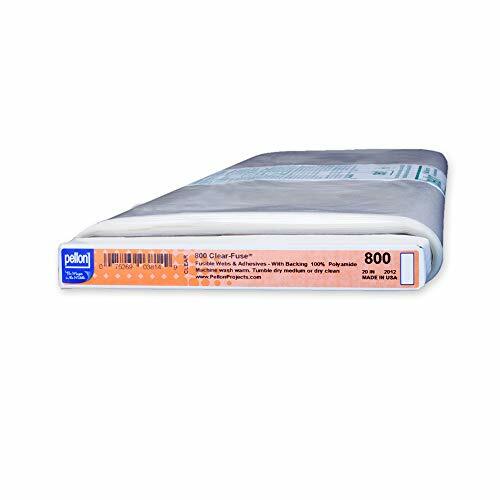 Pellon Fusible Featherweight Interfacing 20'' x 10 yd Bolt. 911FF Fusible Featherweight Interfacing is a great choice for your next apparel making project. 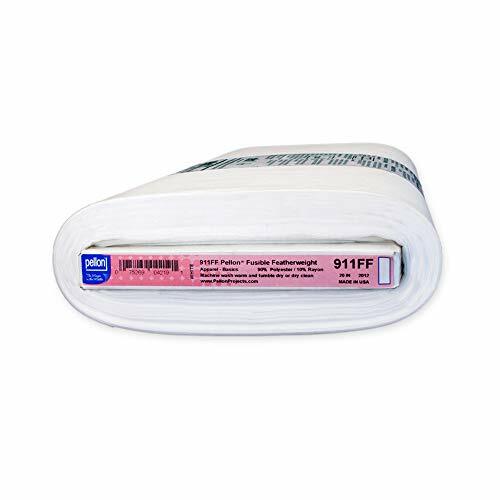 This fusible nonwoven interfacing is made of polyester and rayon. Suitable for light to midweight fabrics it can be used with wovens and knits such as challis chambray jersey broadcloth and linen. 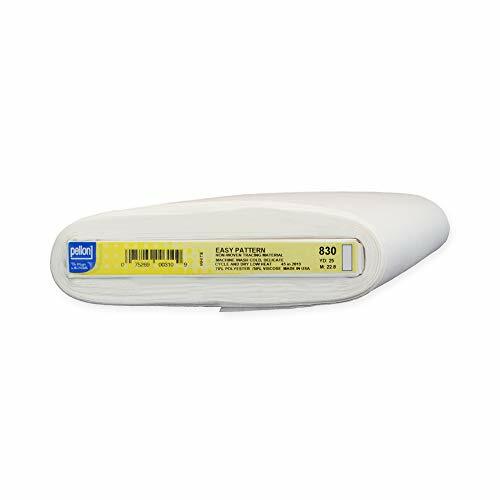 Pellon 830 Easy-Pattern 45in x 10 yd Bolt. Good stabilizer especially for making tee shirt quilts. Pellon 808 craft-fuse is fast and easy to use. It is a crisp nonwoven iron on fabric backing that adds strength and body. It offers stability and support in projects such as placemats wall hangings drapery tie backs purses accessories and children's toys. It is completely sewing maching safe and won't gum up your needle. 20'' wide. Fabric is sold by the yard and cut to order. For example, order of 1 yard (Qty=1) is 20'' x 36''. Order of 3 yards (Qty=3) is 20'' x 108''. 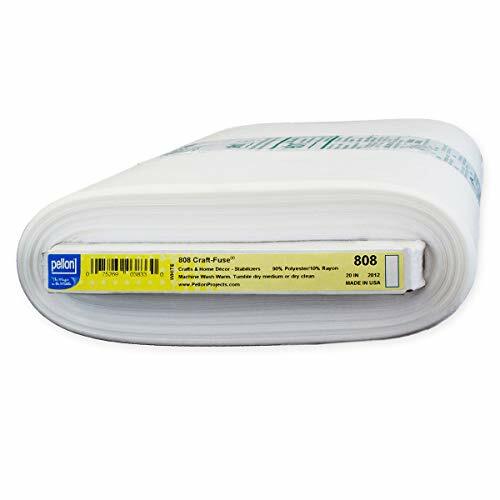 Fusible Interfacing is a non-woven polyester blend for sewing projects requiring stabilization of a fabric reinforcement of a fabric or a bit of extra body to a material. This craft extra-firm weight interfacing is perfect for crafts home decor projects and handbags. Iron-On All Therm O Web Fusible Interfacings are machine washable dryable and dry cleanable. Iron-on Interfacings allow for construction of the project without extra pinning! Adheres to the fabric in seconds! 20 inches x 1 yard. 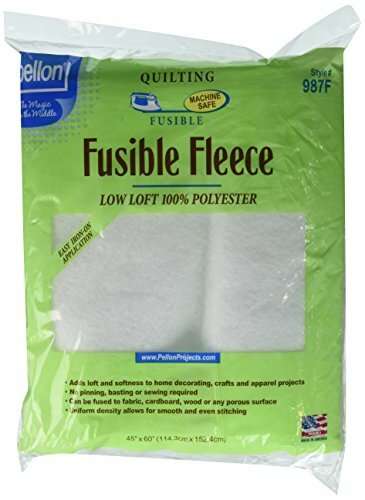 Fusible Interfacing is a non-woven polyester blend for sewing projects requiring stabilization of a fabric reinforcement of a fabric or a bit of extra body to a material. This craft extra-firm weight interfacing is perfect for crafts home decor projects and handbags. Iron-On All Therm O Web Fusible Interfacings are machine washable dryable and dry cleanable. Iron-on Interfacings allow for construction of the project without extra pinning! Adheres. . .
Pellon 800 Clear-Fuse 20in x 10 Yard Bolt. Color: Clear. Pellon 800 Clear-Fuse 20'' x 10 yards Bolt. Color: Clear. 800 Clear-Fuse is a clear-backed fusible web with a high adhesive strength. It is excellent for use in appliqu in addition to a range of craft and home decorating projects. Clear-Fuse will fuse fabric to fabric or any other porous surface such as wood or cardBolt. 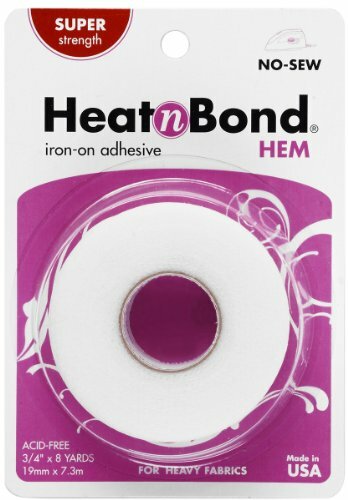 It has excellent bond strength and is great for use with any weight fabric. Clear-Fuse has no grain and can therefore be applied in any direction. Finished items can be washed and dried according to the fabric care requirements.